The first applicant tracking systems (ATS) evolved to help employers take that old standby, the paper resume, and scan it into a database. Like most technologies that emerged to replicate analogue ways of doing things, they left a lot of room for improvement. The processes were bureaucratic, unwieldy and complicated. The aim was to mirror old world paper and filing processes in a custom database. The word “clunky” was often overheard. In its formative years the ATS was the poor cousin of the customer relationship management systems (CRMs), that sought to offer very basic resume screening and trace an applicant’s path through the hiring process. Just like the CRMs, which began life as digital rolodexes and turned into the current cloud-based powerhouses, the ATS has evolved. Today, there are a wide range of ATS software options, some that concentrate on automating as much as possible of the hiring process and others that help the hiring manager to make their own decisions. They are leading a renaissance in HR software. The ATS has become an integral part of every aspect of hiring from building an employer brand and smarter application forms, to resume parsing, automatic retrieval of candidates’ public profiles, and scheduling interviews. Recruiting analytics can now help companies get a clearer understanding of the hiring process and make improvements that have a real impact on the business. The purpose of this applicant tracking system guide is to help you understand your needs as clearly as possible in order to make an informed choice of recruiting software. Workable is affordable, online recruiting software. Post jobs to all the major job boards with one click. 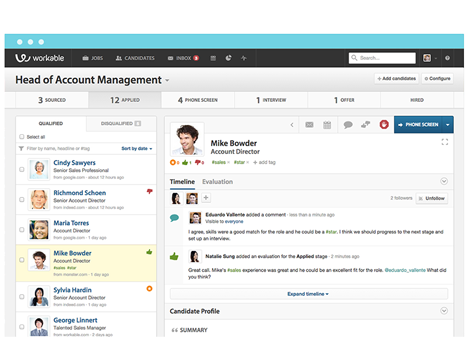 Review and manage candidates from your desktop or smartphone. 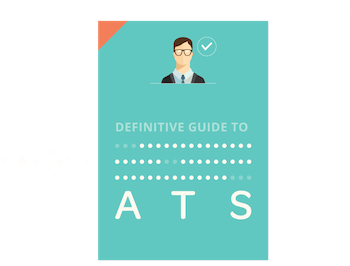 Is an ATS the Right Choice for your Growing Business? Chapter 2 Is an ATS the Right Choice for your Growing Business?